Dual RF+IIR missiles like the operational Standad Missile - 2 and Stunner are probably going to be more relevant but I noted the use of pure IIR equipped systems only. I don't see trends of replacing the trusted RF seeker on MR and LR AIM's with an IIR option. I am basing this purely on evidence of what some of the major players in Europe, US and elsewhere have announced towards systems that are being fielded on missiles that will become operational in the next decade and serve for decades beyond that. Karan M wrote: Now, lets look at even the US, as cited below. 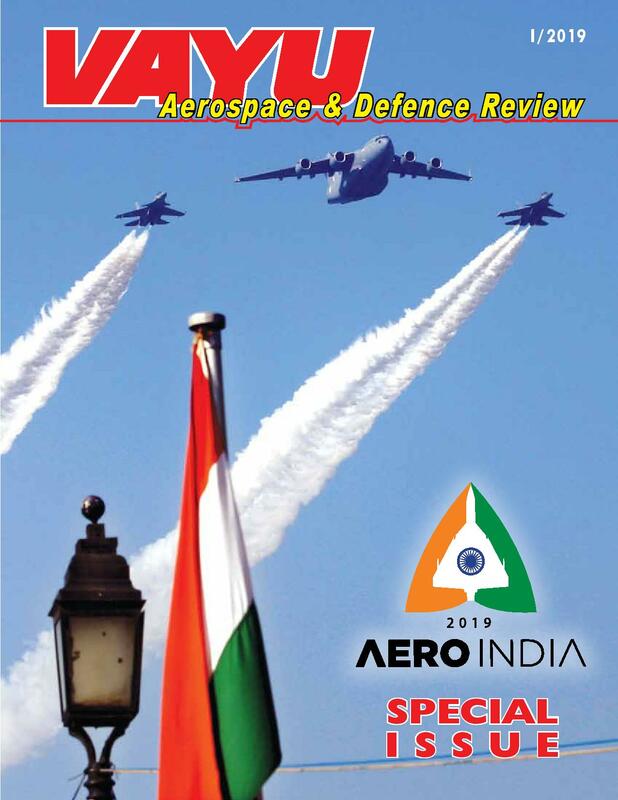 We can have a 10 Mn word debate on this, but the obvious reason to go for such investments in IRST tech., is because the US is not too sure that even its AESA equipped fighters are that future proof against massive ERP jammers equipped with wide bandwidth DRFM. The US has had IRST on fighters or other aircraft in one form or the other between generations of aircraft with them coming in and out of favor depending upon what the operators valued at one time or the other. The IRST on the F-22 and F/A-18Es were clipped as purely a financial decision but they were always designed from the start (SH was to be an F-14 replacement). The F-35 had an IRST requirement from the start as well, in fact it has two sensors that have IRST responsibility depending upon range and task. The F-14 carried IRSTs as did prior generation aircraft. In addition to providing alternate sources to respond to EMS jamming they are also better at passive targeting and handling multiple targets of varying types. Furthermore, on the F-35 they enable the main radar to operate in Jamming mode while still retaining the ability to detect and ID (EOTS) and track (EODAS) at decent ranges. My post had nothing to do with me trying to run down IRST's on fighter aircraft or UAV's etc. It was purely meant to show what others are doing with next generation missile systems and what I think is going to be some of the responses to the proliferation of low observable aircraft. The RF seeker isn't going anywhere..Not next decade and not beyond. It will most definitely become better in the things it can do ("Not Just a Seeker") and may well be supported by IIR seeker windows like on the SM-2 and Stunner and perhaps the Chinese test article. 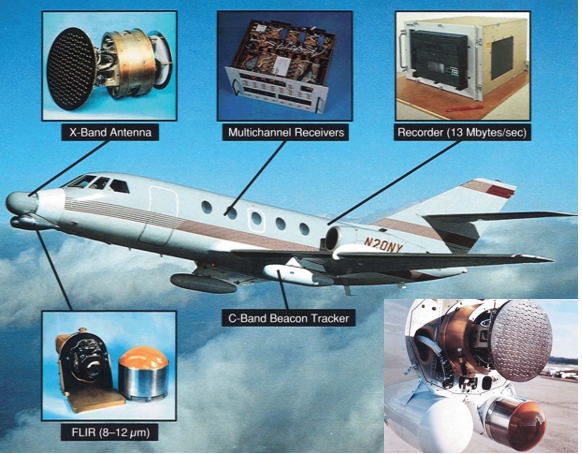 There are also miles of capability that can be added in terms of networking which has its own RF limits and has not yet (on A2A missiles at least) benefited from the vast advances in communication arrays and miniature data-links that have ended up in other SWaP constrained applications. Last edited by brar_w on 08 Apr 2019 06:45, edited 1 time in total. The US's disinterest in IRSTs and then run back to them, speaks for itself IMHO. I am happy that at least the MWF has an IRST ball in the nose, even as India invests in making its own LPI radars etc. The fact that we will have at least 5 L Band AWACS & presumably higher power S Band ones in the AWACS India project gives some solace vs futuristic VLO threats optimized in the higher bands. Re: RF seeker missiles, until and unless the RF seeker community can extend their window of opportunity against X/Ku/Ka-Band optimized threats, they are in for a window of hurt, when the actual OpEval against LO/VLO threats especially those with high band jammers end up resulting in abysmal Pks. Going purely by what major players do or don't do has limitations. Many folks try to hard-sell what they have, while furiously trying to develop something else in their labs. When that occurs, suddenly the roadmap changes, the brochures changes and what was their yesterday gets relegated to 2nd tier. As an observer of the corporate rat race, its common across almost all industries. As is the tendency to hype up visionary capabilities and get some poor customer to pay for it on "trial basis". Anyhow, one thing I am glad of in this whole mess, is that India has not fallen prey (as much) to all these shindigs in the domestic R&D setup, which despite all its obvious issues has a robust team working on some of these concepts from first principles. They aren't as of yet wedded to "we have this, so we must make money out of this" mindset that ends up bedevilling all large corporates who try to extract every cent of margin from existing product lines. As long as India runs with a state funded R&D model, that intellectual freedom will remain, but if we ever move to a fully corporate funded set-up, the Indian Govt too will be proposed what is available with profit maximization even if that technology has severe limitations against emerging threats. Karan M wrote: The US's disinterest in IRSTs and then run back to them, speaks for itself IMHO. I don't think it speaks for anything besides them trading one thing for another. 3rd, 4th and 5th gen US designs have or have had IRST's depending upon what the sensor capability/cost trade space was at the time. Some had it in their designs, only for it to be traded away on grounds of cost (F-22 and F/A-18 spring to mind here as future F-15 variants) while others have used them for various roles. Different fighters were designed around different threats with varying degree of EW/EA capabilities. Their sensor suites reflect and even weapon portfolios reflect that. The F-14 for example needed a LWIRST capability and AIM-54 combination against the threats of the time and to meet its mission needs. The F-15 did not. Re: RF seeker missiles, until and unless the RF seeker community can extend their window of opportunity against X/Ku/Ka-Band optimized threats, they are in for a window of hurt, when the actual OpEval against LO/VLO threats especially those with high band jammers end up resulting in abysmal Pks. Why would they not be actually doing operational evaluations right now (or like 10 years ago)? against both stand along threats (DRFM jammers) and integrated threats (Low Observable plus countermeasures)? Do you think the US, European, Russian, Chinese and other operators who have 5th generation aircraft or who otherwise have access to low-observable crafts have not flown a seeker against that threat? Especially since VLO aircraft have been in service for decades? The Missile seeker is one of the most fundamental capabilities in beyond visual range air-warfare and almost all capable air-forces who retain this capability in house will be constantly investing as much time and effort into matching it up with these systems as they can and using the results to both inform product improvement and develop the NG of these systems. Component level testing for such things is a constant process and as long as you have good test beds you use this against the most expensive (to develop) threats. Testing against larger, more powerful and computationally heavy DRFM payloads was why they shifted to the QF-16 target instead of the QF-4. It now has 3 Jammer payloads that it can carry depending upon what it is simulating and whether it expects to come back (they use more expensive payloads in such a case) or not (limits how much expensive equipment can be added). Integrated end to end testing (different from practically evaluating the seeker for example against a LO threat in a dynamic environment) was something that was difficult to replicate in a controlled T&E environment but that will change by 2020 as at least 2 5th generation Aerial Target systems with integrated EW payloads will be used for F-22 Increment 3.2 and F-35 FOT&E (among other platforms and missile systems). One would assume that all this would go towards helping develop the next generation of systems, and that these things are already contributing to that end with Air-Forces around the world. I don't know what the RF seeker community is but these are some of the same OEM's that are also working on some of the most cutting edge IIR systems for air and space based applications. Even with western operators the systems engineering is not outsourced to an OEM, most of it and the constant testing to support the analysis and develop and provide for future need is retained by the operator community or by the government labs while in many cases the OEM's sometime maintain their own systems and test beds to support internal research and development. I assume it is also the case in France, Germany, Japan and elsewhere (the missile systems I cited earlier). Going purely by what major players do or don't do has limitations. So let's expand the horizon. what are some of the non major players doing? Any pure IIR BVRAAM's being worked on at the moment, or planned for the future by some of those? What tools are these players using to derive to their different calculations that are leading them down to a different path. Do those decisions have to do with any other factors that are relevant to them and perhaps not to (or not to the same degree) to the other players? Many folks try to hard-sell what they have, while furiously trying to develop something else in their labs. When that occurs, suddenly the roadmap changes, the brochures changes and what was their yesterday gets relegated to 2nd tier. As an observer of the corporate rat race, its common across almost all industries. As is the tendency to hype up visionary capabilities and get some poor customer to pay for it on "trial basis". Right. But until they do a 180 degree flip and change course it is rather difficult to argue for something when there is no real evidence pointing to that happening. The original post from Nam was that he expected there to be a trend of long range ramjet powered IIR missiles with data links as a potential response to LO aircraft proliferation. As i mentioned in my post, I don't think there is enough (or any?) evidence at the moment to form that conclusion (happy to be proven wrong). I further went on and opined that just as radar operators and designers discovered "Not Just a Radar", AESA seeker applications beyond traditional roles will explore other possible capabilities currently limited by capability or available power or thermals. I feel the same for communications. Data links on missiles have long trailed data-links in other environments when it came to performance and flexibility largely dictated by SWAP trades and cost considerations. Some of those things can and will change over time allowing for more and better multi-party and higher bandwidth and lower latency communications and data sharing. That is directly linked to concepts that current missiles use to overcome jamming or other forms of disruption. The Missile seeker operates in the terminal end game and the challenge with LO aircraft is to get the missile to an area where it can use that seeker and obtain a lock. Seeker performance evaluation against a host of RCS optimized aircraft designs is actually the easy bit even in a flight environment (seeker test beds are available to operators and OEMs alike and in many cases so are 5th gen aircraft or LO flightworthy articles and dynamic RCS and IR signature measurement capability has also existed for decades). This can then be used to optimize seekers and chart a course of where they need to be in terms of power and performance over time (LO aircraft have existed since the 1980's so this problem isn't exactly new). Some of that capability will likely come from new missile concepts but a lot of it will have to come from outside platforms just like it does now so how the data is shared, who shares it, how it is gathered and how quickly all this can be done (multiple systems and aircraft generating and processing data) is probably going to play a big role. We've recently made a jump from the aircraft sharing information (very limited information) to the missile to the missile also sharing (very limited) information to the aircraft. Next logical progression is to increase the quantity and quality of the data that is shared and for multiple sources to share that data, possible simultaneously. For generations the missile-aircraft comms link has been at the mercy of a directional radar. This was fine because most other communication options operated in a frequency space not optimal for the role. That is no longer the case now. You have high frequency (Ku band) data links that can now handle fairly substantial data rates with very low latency. Even higher frequency systems are further being explored to develop still smaller and jam-resistant LPI systems. Moreover they can now be paired with completely passive 360 degree sensors that have the ability to tag-team a 3D track. 2 impediments still remain for exploiting this capability for the application. 1) to develop multi-beam systems for faster and simultaneous communications (i.e. to be be able to transmit and receive at the same time and with multiple parties) and 2 ) to design more SWaP optimized antennas. Both problems are being tackled and this has the potential of dramatically improving and expanding on the Aircraft-Missile relationship and how you get high quality data to the missile to get it to the right place at the right time for it to exploit its terminal seekers. It also opens up possibility of collaborative cognitive EW where you are no longer just using organic systems for CEW but sharing data obtained from forward deployed sensors or even the missiles themselves. The terminal seekers themselves are relatively easier as AESA based and dual band RF+IIR approaches are easier to do and in some cases (AESA seeker in Japan and RF+IIR missiles in US and Israel) are already being used. It is more difficult to target, track and engage LO targets at long ranges or to get the missile where it needs to be..The most pressing challenge is involved with developing, maintaining and exploiting a kill chain against not just a silver bullet force but a large force of VLO aircraft as is likely to exist in future air battles. That is the hard nut that all are currently investing a lot of time and effort to crack. 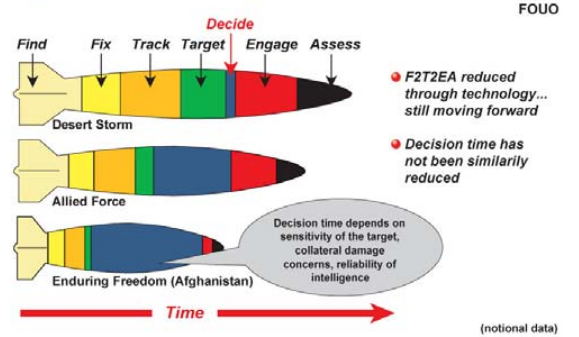 Using this graphic below for illustration purposes only (it is for A2G applications but goes a long in way in also explaining advances in A2A warfare over the 80's, 90's, and 2000's timeframe has shaped capabilities ). The A2A kill chain as measured in time has shrunk thanks to a plethora of new capabilities and technologies fielded over time such as AEW, long range voice and data communications, and common situational awareness and operating picture. Active AA missiles have also contributed to this shrinking in a a big way over time. A lot of this was based on technologies matured in the 80's and even earlier. The 2000's was when sensor fidelity and performance improved by leaps and bounds. This further added to shrinking of the Observe-act cycle time. LO aircraft are designed to reverse that trend i.e break kill-chains and delay F2T2EA enough to get the job done. The challenge that everyone is now going to have to address is how to restore that capability. This is a fundamental that low-observable fighters with highly integrated avionics and discrete communications have brought about. There is a reason why everyone with resources or a need is investing whatever they can to pursue or buy this capability. It is akin to the race to field active AAM's a couple of decades ago only that it is harder and more expensive to obtain and develop and has other advantages against other systems outside of air to air combat. How you communicate with both each other and your weapons has a big role to play here. This is why 5th generation aircraft, all have dedicated layers for these purposes for both discrete sharing of data and for handling those volumes at ranges. This is a much bigger challenge than just developing a long term roadmap for seeker capability over decades that LO aircraft have been operational and for the decades they will remain operational. I suspect folk working on RF and IIR side of things have been working towards that end for decades. This is not a technology that has just recently shown up. Any half decent Red Teaming effort would direct you towards those investments. Currently 5th generation aircraft are flying with missiles borrowed or otherwise adapted from 4th generation aircraft (missiles tailored or designed around their abilities and limitations). Technologies around the world that will allow a generational leap in AIM will likely begin emerging around the middle of next decade and will begin proliferating from there on in just as the last generation of BVRAAMS did. I never spoke a word about IIR+RF missiles (which exist already and which have the potential to offer an advantage) or IRST's on fighters etc. But happy to discuss those further. While the negotiations to acquire C-295 aircraft have concluded, the deal is expected to be approved by the Defence Acquisition Council (DAC) only in June after the Lok Sabha elections, reports The Hindu. India is looking to buy 62 Airbus Defence and Space C295 medium transport aircraft (MTA) for the Indian Air Force (IAF) and the Indian Coast Guard (ICG) from the Tata Advanced Systems Limited (TASL). The firm is a joint venture (JV) between the Tata Group and the European aerospace giant Airbus. The EUR 2.8 billion ($3.15 billion) deal will deliver 56 C295s for the IAF to replace the ageing fleet of Avro 748M transports, and six for the ICG. Under the deal, while 16 C295s will be imported, the remaining 46 aircraft will be assembled at a facility to be set up by the JV near Bangalore. Also as per the 2013 MTA tender, 24 of these will be imported in kit-form for local assembly and contain 30 per cent locally-sourced components. However, the remaining 22 platforms will have 60 per cent of the parts sourced from domestic manufacturers. Just read on twitter that IJT was rest flown after a long time. Does anyone have more information? arunsrinivasan wrote: Just read on twitter that IJT was rest flown after a long time. Does anyone have more information? What is the Significance of these trainers, do pilots train on IJT before moving to AJT like Hawk? Is like like Pilatus then IJT then AJT then combat trainer particular type of aircraft then moving as front line combat pilots? Bang on... you got the sequence right. Before all of the current stable was in place. Kiran which was essentially an IJT was functioning as a IJT and AJT . Now we have the Hawk which is essentially an AJT covering the IJT spectrum as well. The train for the IJT has left. But, it is important for HAL to get it right. It will be the basis for all our AJTs moving forward. It will also be the test bed for HTFE-25. May be there is a market for IJTs internationally. Revived modified HJT-36 makes first test flight. The greatest value will be as a test bed for HTFE-25 engine. If the HJT-36 can be made with the HTFE-25 engine, I guess there would be some market for it overseas. For IAF, I guess they have eliminated the IJT requirement from training. It can also serve as a basis for a twin engine AJT version. With 2, 25 KN engines, we can have a plane better then the M346 and Yak-130, which are the most popular AJTs currently. A winglet on the vertical stabiliser just above the number. The rudder extends longer below the elevator. Cover for MLG seems to have changed, maybe also having an airbrake function now. There seem to twin winglets on either side below the engine housing. The winglet on the spine just behind the canopy is slightly longer. HTFE-25 was supposed to be flight tested on a Hawk this year - any updates on that? Recent documentaries on IAF pilot training show using the Kiran mk1 for stage 2 training. As read on teetar that the course still consists of 3 stages and is done on 2 planes instead of 3. So, why doesn't the IJT have any scope for future induction? abhik wrote: HTFE-25 was supposed to be flight tested on a Hawk this year - any updates on that? Never heard of this supposition before. Can you post a link to such news? HAL’s IJT back in the sky. 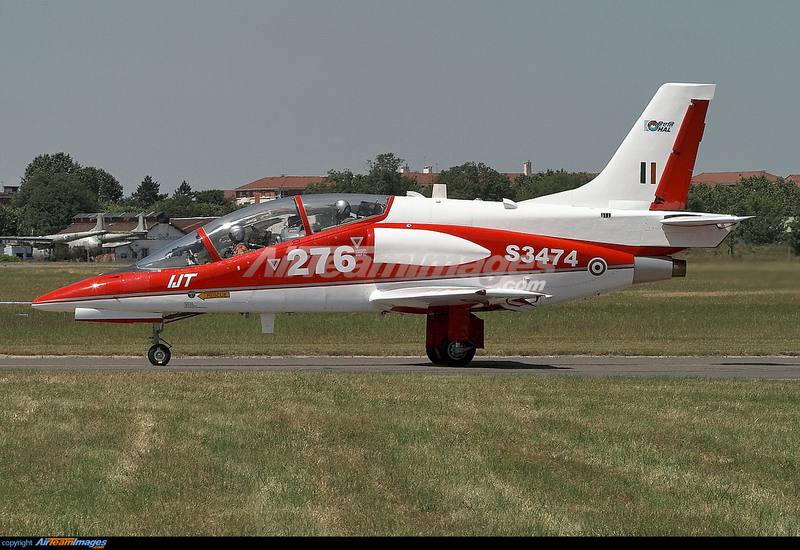 The modified version of the Intermediate Jet Trainer (IJT) went for flight testing on Wednesday. 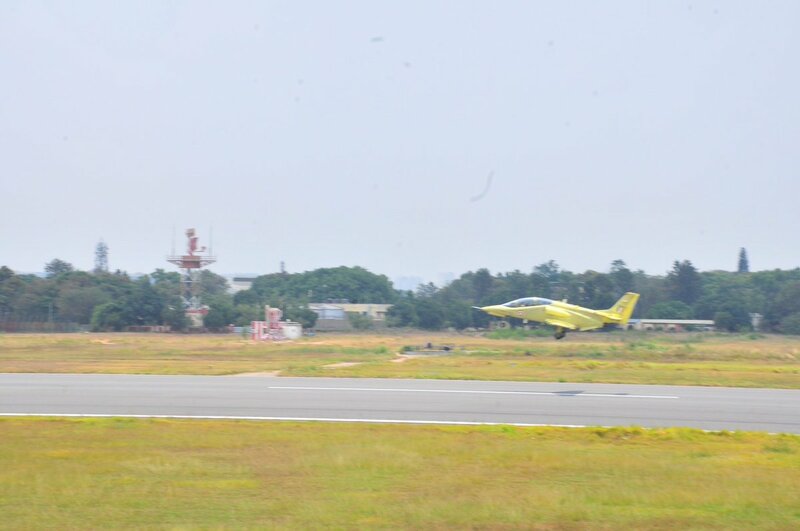 The flight, which took place at the state-owned Hindustan Aeronautics Ltd. facilities in Bengaluru, was flawless and successful. 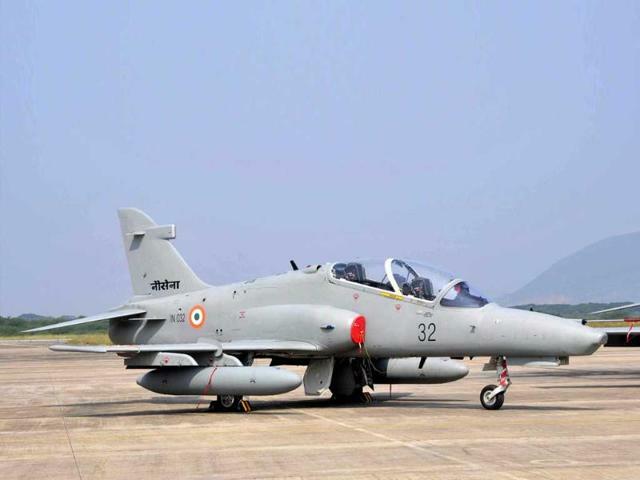 Designed and developed by HAL, the IJT (HJT36), which is for the stage-II training of Indian Air Force (IAF) pilots, was put on hold when the aircraft had encountered problem in the spin test flights in the year 2016. After the failed spin tests, the company has been doing extensive research, and the design and technical teams have carried out the modifications required with more challenges ahead. The IJT `Sitara’ has been facing issues which has been modified from the developmental stage after it crashed in 2011. 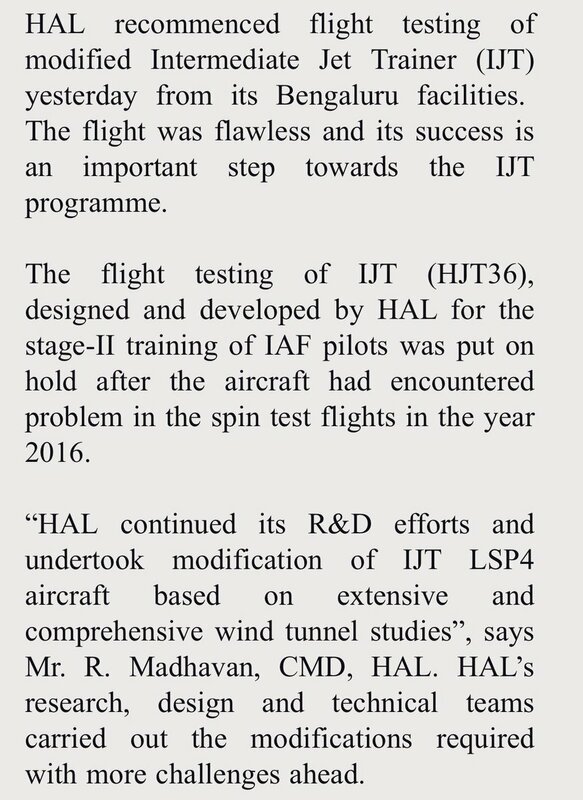 Since last year HAL has been working on putting the IJT through fresh wind tunnel tests after a design upgrade, in which the aircraft is deliberately stalled midair and recovered as part of the training process. 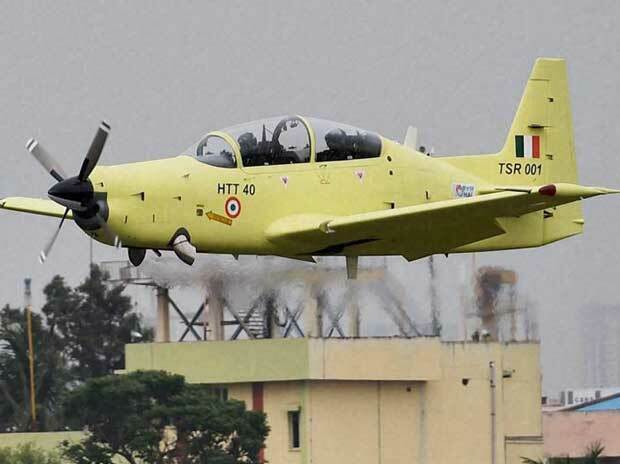 The Rs 2,989-crore project had started in 1999, but it failed after the trainer aircraft was unable to prove its ability to get out of a stall and spin, a critical feature needed in a trainer aircraft that is going to be used for training fresh pilots. HAL has sought the help of UK based BAE Systems in 2014 for seeking help in re-designing the aircraft tail which could meet stall specifications of the IAF. After passing the tunnel tests, today’s flight test was critical for the IJT and it is expected to move to the next stage of development before it is fully safe for the trainees in IAF. And can be produced for replacing the current `Kiran Mk II’ aircraft fleet by 2020. In view of several setbacks to the IJT programme caused by the structure and the weight, HAL has been forced to change its time lines atleast four times. The aircraft were expected to be inducted in 2015, but now it has been pushed to 2020. Due to shortage of trainers, the IAF has been forced to modify its training pilots from a three aircraft plan to two aircraft plan. 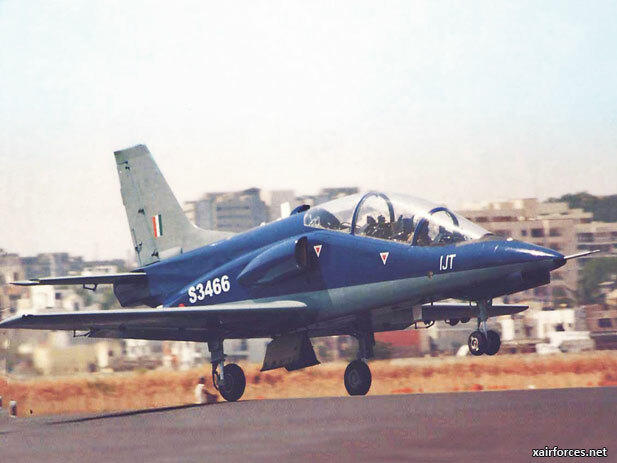 The IJT is expected to provide high-speed training for IAF pilots entering the second stage of training. Fresh cadets begin flight training in a basic trainer aircraft (BTA) and then on an IJT, before moving on to an advanced jet trainer (AJT) to finally learn the art of combat flying. The amount of time spent on this program could have been well spent on the LCA itself and we may have had the aircraft in service earlier. Anyhow, hopefully its done, dusted and HAL gets some lessons and orders from it as well. Are sir, just frustration at HAL managements years of tepid support to LCA while chasing after what were in comparison less critical projects. Anyhow, water under the bridge. Old DD archive footage from the 80s' on Mirage 2000. Good stuff. I am new here so I don't know but how much credibility does vishnu som has? because is sprouting on twitter that super su-30 mki upgrade will feature hybrid Irbis-E PESA radar and not an AESA. but i have read in multiple source that super su30 mki will sport a X- band AESA. I do not think any IAF official is so dense that he would now go for an upgrade for an aircraft without an AESA radar knowing fully that it will be doing combat duty for 20-25 years. Given the IAF's desire to have an AESA on the LCA, having one in service on the Jaguar, and the mandate to have an AESA radar on the MMRCA and follow on purchases, it does appear that they would want the same for the MKI MLU. If one is pouring in Billions of $ for an extensive upgrade, it makes total sense to go for an AESA radar in the 2020s especially when upgraded aircraft will likely be rolling back into service throughout next decade. The only Russian AESA radar which is perhaps close to being in service/ready is N036 which is scheduled to be used in Su-57. I don't know if Russia will be keen on integrating any foreign AESA radar in Su-30MKI. Our Uttam efforts are still long ways away. Uttam first has to be realized on Tejas platform. A fellow BRF person asked this question during AI-19 to a DRDO gentleman working on Uttam and the DRDO guy's reply was "let us first integrate & validate it on LCA before thinking about mounting it on other platforms". RuAF is integrating Irbis-E on their Su-30SM upgrades. If IAF is hell bent on AESA, perhaps we will have to pay Russia to develop a variant of N036 for Su-30/35 platforms, will then will also be used by RuAF themselves (sort of like Su-30MKI program). Finally, for those who are pulling out brochures to suggest the existing R-77s of the Su-30 are ball-park in the same class as the PAF's AIM-12-C5 AMRAAM, please think again. The IAF doesn't believe they are. But whats a fighter without its air to air missiles, right? The upgraded bird would likely be armed with the RVV-SD (120 km range) and RVV-BD (400 km range) missiles, completely outclassing anything Pakistan or China have in service. Edit: I think Zhuk-AME radar is a AESA one which is scheduled to be mounted on MiG-35. I think Austin had posted some specs about radar detection ranges of Zhuk against various RCS values from a bench test (?). Anyways, that radar is not suitable for Flanker variants. Last edited by Zynda on 20 Apr 2019 00:32, edited 1 time in total. Reading up radars but doubt - when the fcr is tracking and then when you lock onto a target, is the solution computed, by whatever computer does it, take into account the path the missile has to take to hit the target to compute range to target? Q is because from all accounts there was an altitude differential disadvantage for the MKIs. This is before getting to the question of true range of both the AIM 120C vs R77, given that vishnu believes the amraam outranges the rvv. With my jaundiced eyes, i only see a METEOR angle to this middle range debate. Zynda wrote: The only Russian AESA radar which is perhaps close to being in service/ready is N036 which is scheduled to be used in Su-57. I don't know if Russia will be keen on integrating any foreign AESA radar in Su-30MKI. Our Uttam efforts are still long ways away. Uttam first has to be realized on Tejas platform. I asked this question during AI-19 to a DRDO gentleman working on Uttam and his reply was "let us first integrate & validate it on LCA before thinking about mounting it on other platforms". I realize that. The IAF most definitely would want an AESA as this has been the trend in their requirements for quite a while now. Could it be cost prohibitive given that none is currently on-board any Flanker variant (Russian built) and is unlikely to be in the short-medium term? Quite likely! So an interim "hybrid PESA" could be a possibility but as an interim until an AESA is ready it would still be not a very desirable position to be in from the IAF's perspective given how it has been mandating AESA radars across program types for many years now (MMRCA, Jaguar, LCA, SEF, AMCA etc etc). The recent discussions of IJT has brought back the memories of the discussion/post of the old design concept of IJT. 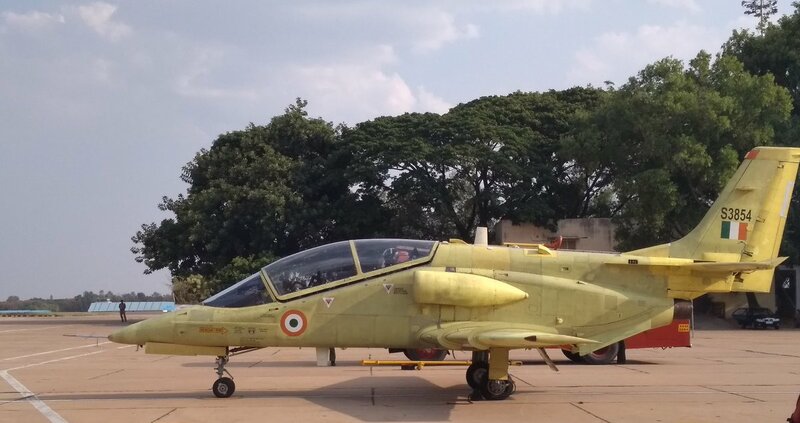 In your opinion it was a better design but HAL fell back to Kiran based air intakes due to previous experience. Unfortunately unable to find your post from the archive. Not sure if it got lost in BRF ahutdown. Can you please share that post again? No chance of integrating 2052 on MKI? Cybaru wrote: No chance of integrating 2052 on MKI? gven that the MC is Indian, I wonder what stops us if we want to ? of course the russians would want their pound of flesh and might balk at integrating their latest & greatest AAM's with israeli radar. We should still update 180 or 200 with our own AESA(2052) of choice and have the remaining ones with whatever Russia has so that we can use existing ammo. That way we are not limited. Pretty soon Astra MK1/MK2/SFDR/ASRAAM will transition into regular use. The roadmap seems pretty decent as far as missiles go. I presume Astra MK2 may undergo some scope creep and bigger expansion in range than before after this event. Yes, and your jaundiced eyes are correct. Funny thing is Vishnu is saying dont look at brochures and then is giving brochure specs. The basic issue is power. If you want range >> than Bars (which BTW can match many of the fighters in the world market even today), then you need to scale up the power available, and for that even an engine change may be necessary or a complete revamp of the electricals on the aircraft. The key advantages of the Irbis are that it provides a decently powerful radar with great scan angles. Its sort of a low key CAPTOR/RAVEN equivalent with gimbals available today. Really good for the crank maneuver. 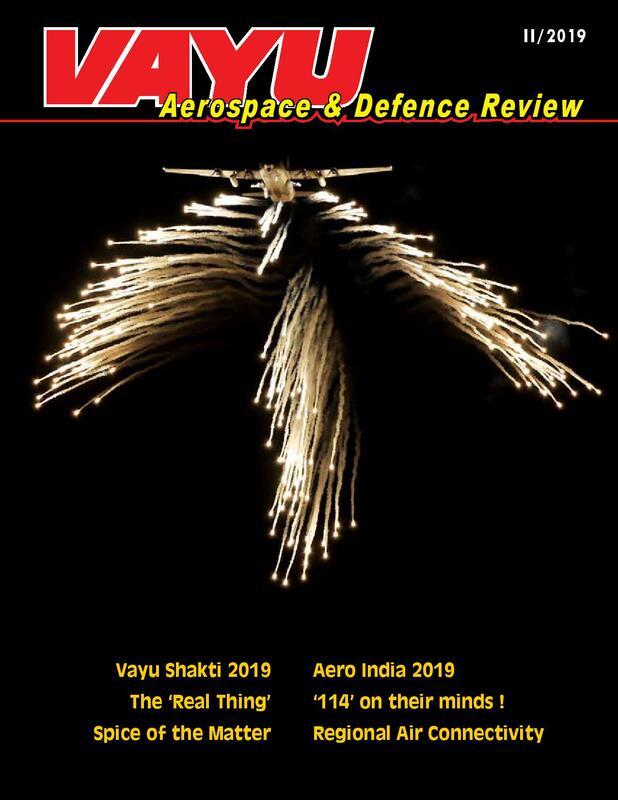 RVV-BD and RVV-SD are yet another import stop gap which Vishnu is touting without realizing if AMRAAM-D ever enters PAF arsenal or some new PRC missile, we will be back to the same issue as RVV-BD is more for large targets than fighters. The answer is Uttam + ER variants of Astra, I hope DRDO asks for and gets funding to do this asap, irrespective of IAFs import fixation which by what's been leaked to Vishnu, doesn't seem to be going away fast. Rahul M wrote: gven that the MC is Indian, I wonder what stops us if we want to ? of course the russians would want their pound of flesh and might balk at integrating their latest & greatest AAM's with israeli radar. Wasn't the irbus range possible thanks to those higher watt twts? Of course it has a more powerful engine too. TBH the IAF i feel must be waiting for some of the hardware in the pakfa to get debugged, esp. Radar suite and engines. High power engines--higher power alternators-- higher power draw from TWTs/new avionics. A lot depends on IAF experience with the Elta 2052 radar. If the 2052 performs really well on the Tejas, then there is every possibility of Israel proposing a joint venture like the LRSAM project for a 2052 derived AESA for the Su-30MKI. We have 270 of them and that's a good enough number to develop a new version of the 2052 for this. As a sweetener a jointly developed EW suite to work with the 2052-MKI can also be added. Russians will not be happy, but I guess won't be able to do much, if they don't have a system with a comparable performance. As Karan mentioned more powerful engines would be required for almost any upgrade of the radar and EW suite and other electronics. The cockpit and MFDs can upgraded by us, without any help. The air to air missiles are anyways going the Astra - Astra-ER - SFDR route and I doubt IAF will be going for any more variants of the RVV missiles. A dual pulse Astra ER version is required as soon as possible and DRDO should start the process and MoD sanction the funds to take up the project on mission mode. A timeline of 36-40 months for IOC and start of LSP production should be set. Should be doable, as the dual pulse technology is ready and the baseline Astra RF seeker is also ready. Maybe they can also develop an Astra-IR version, with IIR seeker, like the MICA-IR.